Greetings all parents and students! CONGRATULATIONS - to all who participated in the in-house point-sparring and light kickboxing tournament! WELL DONE!!! I look forward to the next competition and appreciate any feedback to make it even a greater success. A huge THANK YOU goes to the volunteer Senseis as well as to the timekeepers/scorekeepers. Especially those timekeeper/scorekeepers who received on-the-job training – Thank you! GOOD LUCK to those students making the trek to Prince Albert this weekend for the Diamond City Open Tournament. October 13, 2011 – NEWS FLASH! 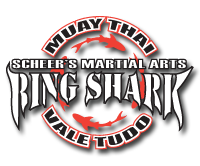 Just a reminder that all classes are cancelled on Sunday due to the Scheer’s In-House Point-Sparring and Light Kickboxing Tournament. Please also note that the children's class at 5:30 p.m. on Monday October 31 is cancelled. HAPPY HALLOWEEN!! 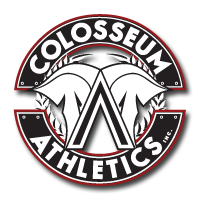 Sunday October 16th - Scheer's In-House Youth Point Sparring and Light Contact Kickboxing Tournament! A great opportunity to test your skills and prepare for the upcoming tournament season! Youth, 17 years old and younger will be able to point spar with others similar age and belt levels in a tournament environment without as much pressure as a regular tournament! THANK YOU! THANK YOU! AND THANK YOU!!!! To all of those who volunteered at the Western Plains Open. We have had many comments from other schools that our tournament is the best run tournaments that they have been to – CONGRATULATIONS!